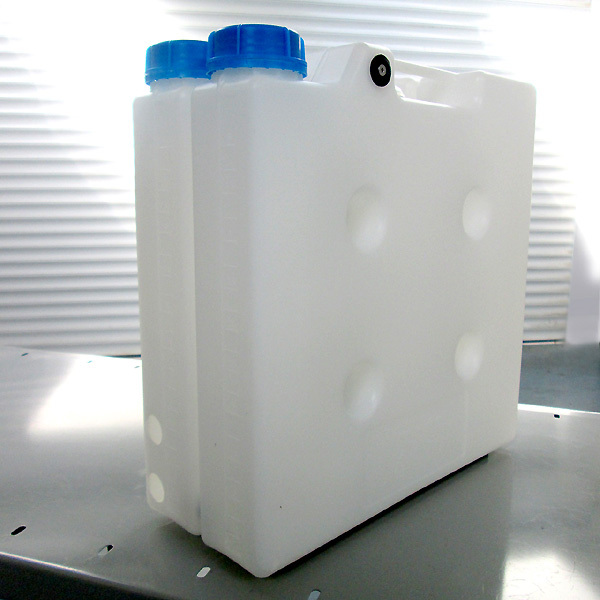 We are offering a twin version of the 5L compact tank. (internally baffled). Only 143mm (5.6") wide. 335 (13") deep and 335 (13") tall. Capacity: 10 litres (2.64 US gallons). Tank adaptor and level sensor are not included (for illustration purpose only) as all our kits come supplied. 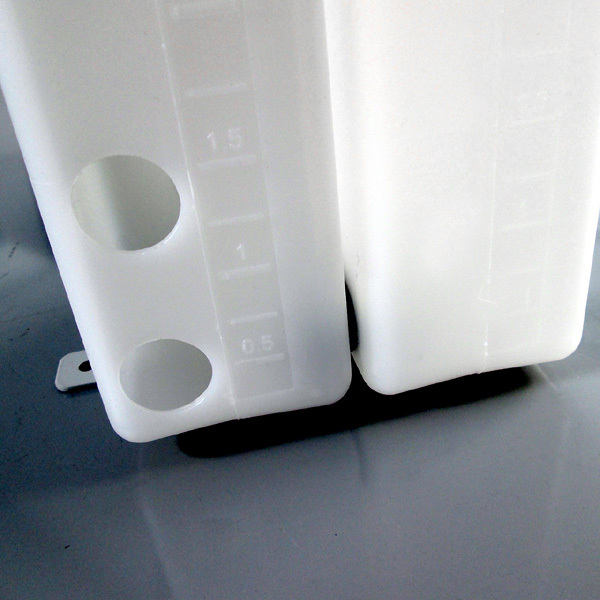 The bracket is egonomically designed to minimise installation time. Offering chassis floor or cross-rail mounting options. Four holes at the centre section of the bracket is intended for mounting an aquatec pump below. Bracket is constructed with 2mm zinc plated mild steel plate and powder-coated (light grey). The structure is very strong. All fixing fasteners are supplied. Thanks to the internal baffle, it unilises the full capacity more effective compared to a non-baffled tank. Please note: Twin tank is now replaced by a single 10L construction tank. (July) 2018. Choose the single tank remote venting kit for this. Click the button below to add the --- 806-690S ---- (new) 10L single tank with bracket (internally baffled/drilled) to your wish list.